Oni with tetsubo, unsigned — Sydney L. Moss Ltd.
Late 18th to early 19th century. Sydney L. Moss Ltd., “Kokusai The Genius (vol. I)”, 2016, no.57. 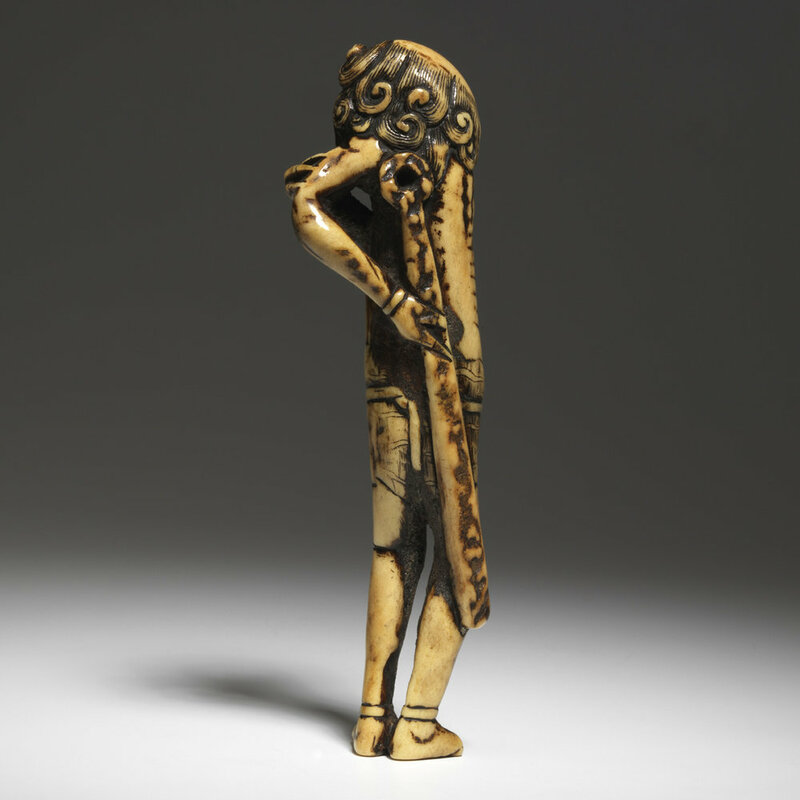 A tall stag-antler netsuke of a three-clawed oni in tiger-skin loincloth, standing with pensive, leonine features and clutching his long tetsubo nonchalantly behind his back.